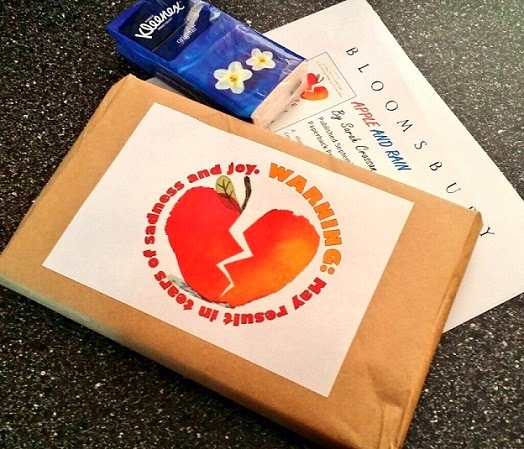 Inside was the ARC for an upcoming YA book that sounded intriguing. So, yesterday morning, I grabbed it with the intention of reading the first chapter to see what it was like... I ended up reading the whole thing before bedtime. Yep. It totally hooked me as soon as I started. Apollinia Apostolopoulou, or Apple as everyone calls her, doesn't like Christmas. It always reminds her of the Christmas Eve when her mother left and never came back. Although she hates the season, she foolishly hopes that her mother will one day return during Christmastime. Of course, it never happens so she goes through the motions with her Nana and father every year. Even if she hates her stepmother. Apple leads a sheltered life. Her grandmother doesn't let her go anywhere on her own, and even picks her up from school even though she's in Year 8. So when her mother actually appears out of nowhere one day, telling Apple that she's come back to England for good, she can't believe it. She wants to spend as much time as she can with Mum, even if Nana is sceptical about her daughter's return. When things start falling apart--Nana doesn't approve of Mum trying to take Apple away, and her best friend leaves her behind for someone else--Apple decides she wants to live with her Mum. However, as soon as she moves in she discovers a house almost devoid of furniture and a room with bunk beds. One of those beds happens to be for a 10-year-old girl. Rain is Apple's half-sister and she's a little weird. For starters, she still carries around a doll she's convinced is a real baby. This habit means she gets into fights at school. What's worse is that Mum actually encourages Rain's fiction, hoping the phase will pass by keeping her at home from school. At first, Apple doesn't mind the imperfect conditions of living with her mother and sister, because all she cares about is her biggest wish coming true. She's always longed to have her mother back and now that she is, nothing is going to spoil her return. Even though Mum keeps having parties, and then starts taking off for auditions and meetings, leaving Apple to look after Rain. But she doesn't mind, and looks after her sister. Even when it means she too starts skipping school. But when disaster strikes, Apple realises she's just a glorified babysitter/cook/cleaner for a woman who clearly has no real sense of responsibility. I loved this sad, yet hopeful story about a young girl who is so excited to have her estranged mother back that she's willing to do whatever it takes to keep her happy. Even turning her back on the loving grandmother who raised her. It's heartbreaking to watch Apple's unconditional love towards the woman who abandoned her, and even now has come back because she has ulterior motives. It's not that her mother is evil, just that her priorities are askew and her whole life driven by her desire to be an actress. Apple goes from a life of being constantly monitored by her grandmother, to becoming the adult of the house and all the responsibilities that entails. While she loses an important friendship, she gains two much more important ones: Rain and Del. Her younger sister has issues and is in desperate need of proper care and attention, and they soon become close while finding comfort in poetry. And the quirky new boy in school turns out to be a lot more than just comic relief. 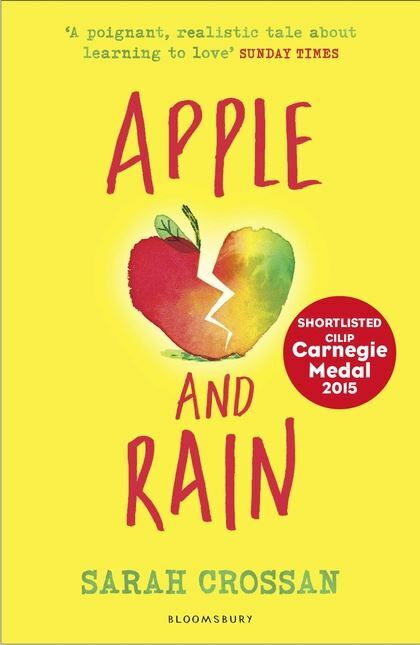 Apple and Rain is a wonderful, heartbreaking coming-of-age story about unconditional love and the strength of a young girl willing to do whatever it takes to keep her family together. But it's not all sadness and heart-wrenching pain, there are also moments of pure delight and happiness.